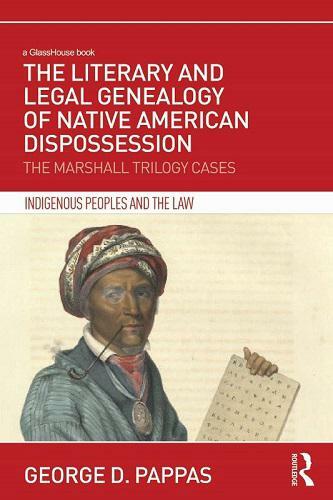 Cover of the book, 'Legal Genealogy of Native American Dispossession,' by George D. Pappas. Host Frank Stasio talks with Immigration attorney and author George Pappas about unseen ways in which the religion of America’s founders was used to dispossess Native Americans from their land. Janelle Adair, a Cherokee storyteller and a member of the United Keetoowah Band Cherokee Indians of Oklahoma joins the conversation to talk about how those land grabs resulted in the massive loss of language, culture, and cultural connection. Pappas begins his analysis in the 1400s when the pope gave the kings of Spain and Portugal the right to invade, capture and subdue any pagans who were considered enemies of Christ. Early settlers were allowed to enslave them and take dominion over their land. This religious directive became the Doctrine of Discovery accepted as law by the Europeans that colonized America. This doctrine was later referred to in multiple legal rulings proceeded over by Supreme Court Chief Justice John James Marshall to dispossess Native Americans from their land. Pappas talks to Frank Stasio about the three central rulings that govern Native American land rights and why he believes they are so problematic. They are also joined by Janelle Adair. She's a Cherokee storyteller and a member of the United Keetoowah Band Cherokee Indians of Oklahoma. She shares stories of how being forced from their land resulted in the massive loss of language, culture, and cultural connection. Lumbee Scholar And Filmmaker Malinda Maynor Lowery Explores "What Makes A 'Real Indian'"
Malinda Maynor Lowery is a Lumbee Indian whose family goes back more than 10 generations in Robeson County. Lowery was born in Lumberton, N.C. but raised in Durham, where from an early age, she often fielded the question, “what are you?” Although she grew up in a family with a strong sense of Native identity, this question stayed with her much of her life, and eventually became the subject of much of her academic and documentary work.